Does Budget Offer a Student Discount for Rental Trucks? 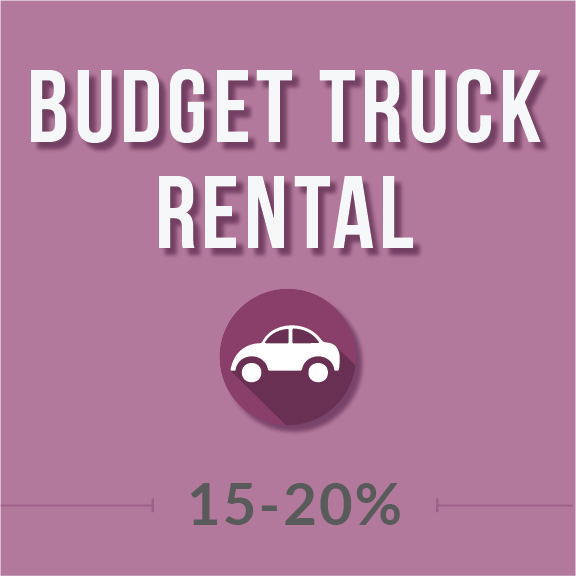 Budget Truck Rental offers a discount for students when renting trucks in the United States. The discount varies from 20% for local trips to 15% for national and one-way moves. What’s Included in the Budget Student Discount? Budget is a popular choice for moving trucks, and Budget often out-performs U-haul in customer satisfaction surveys. In our experience, the trucks are high quality and the customer service top-notch. It’s important to make your truck reservation online, and not in person or over the phone. If you feel you might need accessories or an insurance plan, it’s best to reserve these online as well. Like most rental agencies, Budget makes a ton of money offering supplemental protection plans. Most of the time you don’t need these, no matter what examples they show you of accidents gone wrong. There’s always a chance you’ll get in an accident and end up owning 1000s of dollars, but if you are generally a safe driver, statistics are on your side. Qualifying for the Budget discount is far easier than other student discounts. For starters, when you reserve online, you must enter a promotion code when ordering. This means that no verification of student status is required. In fact, whether you are a student or not, the student pricing may not be your best deal when moving with Budget. As far as we can tell, Budget doesn’t verify any of these statuses. Which makes sense because they offer the standard 20% discount to everyone as long as they book online and use code 20DIS. To redeem this offer, the customer must book online and enter promotion code TRUKU. A confirmation number will be provided to the customer upon confirmation of rental deposit. Offer is subject to availability at participating locations and some blackout dates may apply. 24-hour advance reservation required. Offer is based on the US currency. Discount is 20% off local moves and 15% off one-way moves. Discount is off time and mileage of “The Best Available Rate”. Discount cannot be combined with any other discounts, offers, coupons, special promotions, or commercial rates. Rates may vary by location and time of year. Taxes, fees, and surcharges are extra. Renter must meet Budget age, driver and credit requirements. An additional daily surcharge may apply for renters under 24 years of age. Optional products such as damage waivers, PAC, refueling and other product services may apply and are extra. Offer is void where prohibited by law and has no cash value. Best available rates defined as the lowest publicly available on-line to Budget Truck customers. See your total on your reservation for the list of applicable charges. Rates are subject to change without notice. Rates are available for U.S. residents only.